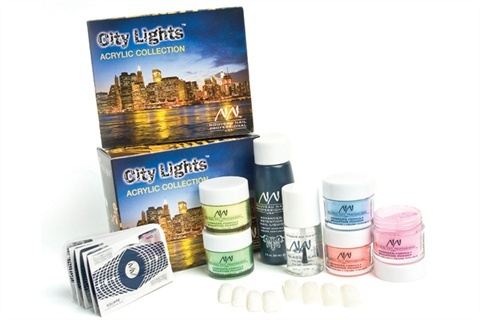 Nouveau Nail has a new acrylic collection, City Lights. The shimmering neon and bold urban colors will have nails looking great and wearing well for long-lasting manicure designs. Each collection is named after a different geographical location, like the European Collection, Far East, and Great American. Along with color powders each kit includes Nail Liquid, Glass Seal, forms, and an assortment of nail tips.